HMH Books for Young Readers, 9780544644342, 272pp. 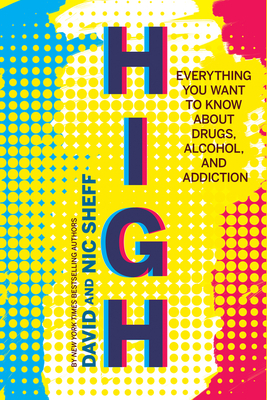 From David Sheff, author of Beautiful Boy (2008), and Nic Sheff, author of Tweak: Growing Up on Methamphetamines (2008), comes the ultimate resource for learning about the realities of drugs and alcohol for middle grade readers. Nic Sheff is the author of Tweak: Growing Up on Methamphetamines (2008), We All Fall Down: Living with Addiction (2011), and the young adult novel Schizo (2014). He is a contributor to TheFix.com, and recently wrote an episode of Netflix hit show 13 Reasons Why. He lives in Beverly Hills. Visit Nic on Twitter @nic_sheff.